"This corridor network is already there, and it's already important for animal movement," said lead author Meade Krosby, a scientist in the UW's Climate Impacts Group. "Under climate change these will become 'superhighways' for animals that are seeking new places to live. We've identified ones that could be priorities for conservation and restoration." Riparian areas—areas of habitat along the banks of rivers and streams—are known to be used by bears, coyotes, wolves, deer, mountain lions and other large mammals. But these regions could also benefit smaller mammals, like beavers and marmots, and even insects, birds and other species looking for cooler, moister terrain as conditions become less habitable. "We aren't the first to realize that riparian areas are likely to be really important for animals seeking refuge from warmer or drier conditions, or for connecting fragmented habitats under climate change," Krosby said. "But we hadn't seen anybody identify which riparian areas would be particularly valuable in the future." The authors then looked at which areas should be priorities for restoration—places that are not currently protected, or that offer the only natural pathway linking warmer and cooler landscapes. 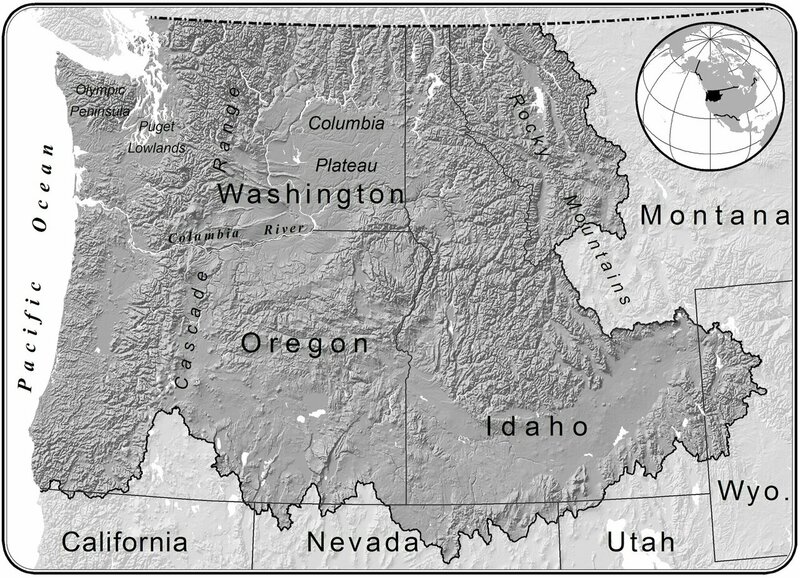 Here the routes through the Columbia Plateau, covering Eastern Washington, central Oregon and western Idaho, popped out as particularly important. "If you look at an aerial photograph of an agricultural or urban landscape you'll see these green corridors that follow streams and rivers," Krosby said. "Humans use the flat areas of the landscape: we live there, we farm there, we use it for all kinds of things. So the riparian areas in these landscapes may not be in the best shape, but in some ways they're the most valuable, because they're the only natural habitat left." 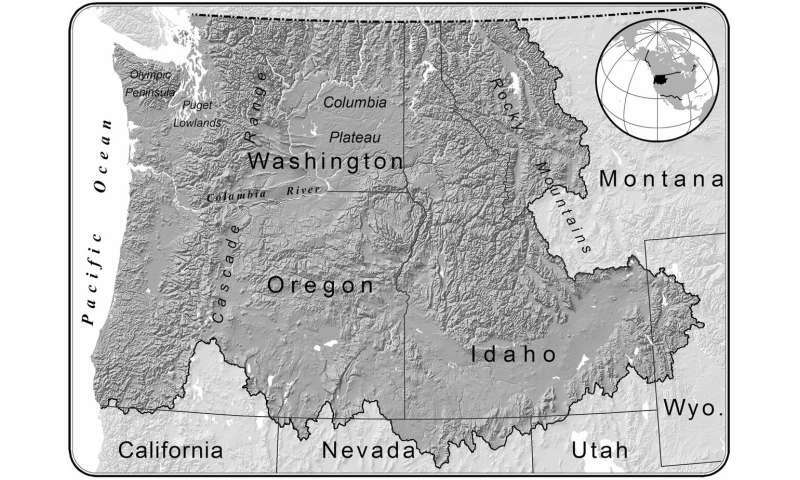 The authors don't identify individual waterways as priorities for riparian conservation. Instead they leave it to regional managers to single out individual areas and choose methods—whether it be working with landowners to keep areas in a natural state, planting native vegetation, removing invasive species along streams, creating easements in property deeds, or other methods—to ensure that riverside land remains friendly to wildlife movement. 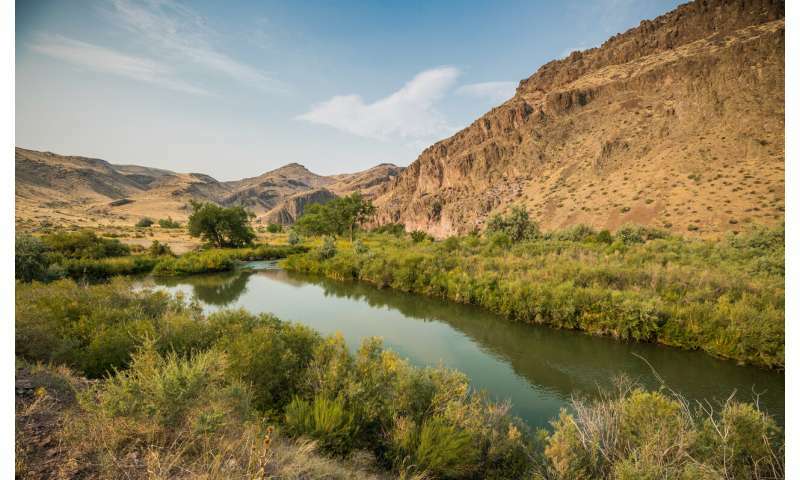 "Riparian areas offer a huge bang-for-buck as conservation opportunities in the effort to reconnect our fragmented habitats," Krosby said. "The nice thing about riparian conservation is it's a two-fer: The same vegetation that provides cover for terrestrial species moving through riparian zones can, for example, help shade streams to cool water temperatures for aquatic species." "The idea is to have a whole network: You want to make sure that your landscape is permeable to wildlife movement," Krosby said. "That's important now, and it's especially important under climate change, because moving to track shifting habitats is the primary way that species deal with a changing climate."